HAPPY BIRTHDAY to my littlest one! "The future Henry VIII was born on 29 June 1491, the second son of Henry VII and Elizabeth of York. This talented, athletic and temperamental man might have proved something of a handful to his elder brother, Prince Arthur, the firstborn, had he survived to wear the crown. But Henry's life was changed forever when Arthur died in 1502 and the course of English history took a very unexpected turn... "
"Anne Boleyn is perhaps the most engaging of Henry VIII's Queens. For her he would divorce his wife of some twenty years standing, he would take on the might of the Roman Church and the Holy Roman Empire; he would even alienate his own people in order to win her favor and, eventually, her hand. But before Henry came into her life Anne Boleyn had already wandered down love's winding path. She had learned its twists and turns during her youth spent at the courts of the Low Countries and France, where she had been sent as a result of her scandalous behavior with her father's butler and chaplain. Here her education had been directed by two of the strongest women of the age - and one of the weakest. Returning to England she was courted by three different suitors in three very different circumstances. The first was James Butler, with whom an arranged marriage was designed to settle a family dispute over the earldom of Ormond. Anne then captured the heart of Henry Percy, whose genuine love for her was reciprocated and would have lead to Anne becoming countess of Northumberland had the couple not been cruelly torn apart in the interests of politics and worldly ambition. Lastly, Thomas Wyatt, the dreamy young poet and ambassador who was captivated by Anne but who stepped aside when he saw that he had a rival: none other than the great King Henry VIII himself." "Wife, widow, mother, survivor, the story of the last queen of Henry VIII. The sixth wife of Henry VIII was also the most married queen of England, outliving three husbands before finally marrying for love. Catherine Parr was enjoying her freedom after her first two arranged marriages when she caught the attention of the elderly Henry VIII. She was the most reluctant of all Henry's wives, offering to become his mistress rather than submit herself to the dangers of becoming Henry's queen. This only served to increase Henry's enthusiasm for the young widow and Catherine was forced to abandon her lover for the decrepit king. Whilst Catherine was reluctant to be a queen she quickly made the role a success, providing Henry VIII with a domestic tranquillity that he had not known since the early days of his first marriage. For Henry, Catherine was a satisfactory choice but he never stopped considering a new marriage, to Catherine's terror. Catherine is remembered as the wife who survived but, without her strength of character it could have been very different. When informed that the king had ordered her arrest for heresy, she took decisive action, defusing the king's anger and once again becoming his 'own sweetheart'. It was a relief for Catherine when Henry finally died and she secretly married the man she had been forced to abandon for Henry, Thomas Seymour. During her retirement, Catherine's heart was broken by her discovery of a love affair between her stepdaughter, Princess Elizabeth, and her husband. She never recovered from the birth of her only child and, in her fever accused her husband of plotting her death. Catherine Parr is often portrayed as a matronly and dutiful figure. 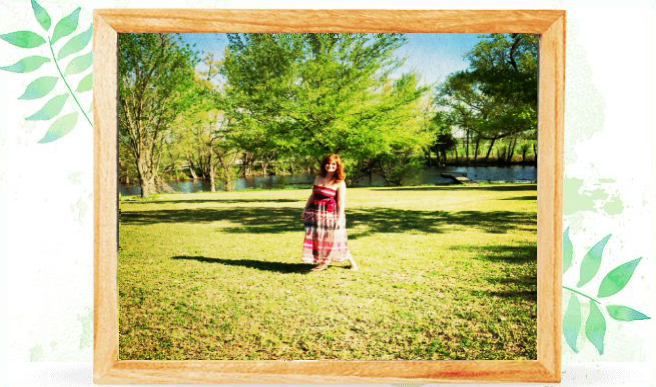 Her life was indeed one of duty but, throughout, she attempted to escape her destiny and find happiness for herself. Ultimately, Catherine was betrayed and her great love affair with Thomas Seymour turned sour." I love this cover, even though there is a boo*ie on there! I already had the Paperback so that's going to Paperbackswap. "In the bestselling tradition of The Red Tent, a dazzling novel of the extraordinary biblical heroine who ascended to the position of queen and sacrificed love in exchange for the lives of her people.The story of Esther-whose mesmerizing beauty was matched only by her clear-eyed wisdom-has inspired women for centuries. Now her suspenseful tale comes to life through the eyes of a contemporary woman, debut novelist Rebecca Kohn. 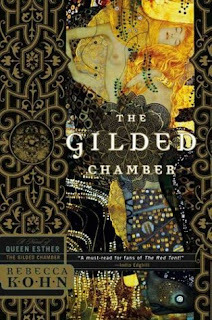 Capturing the passionate longings and political danger that have made Esther's legacy so timeless, The Gilded Chamber blends meticulous research with gripping storytelling to transport us to an ancient time in the far-flung Persian Empire. Orphaned and terrified, Esther journeys across the River Tigris to start a new life with her cousin-a man well positioned in the court, and to whom she is betrothed. Her transformation from girl to woman unfolds against a lavish backdrop of the royal court and harem, rife with intrigue and daring alliances. Esther wins much of what she seeks: the heart of a king, and the deliverance of her people. But her rise to the role of queen is not without a price; she must turn her back on all that she ever wanted, and give her body to a man she can never love. In a haunting, unflinching voice, The Gilded Chamber illuminates an epic dilemma between the yearnings of a woman's heart and the obligations imposed on her by fate. In Esther's case, choice makes history-and unforgettable reading." "There are two types of British queens," says Columbia University historian David Cannadine. "Those who hold the position strictly as wife of the king, and those (few) who have ruled as sovereign in absence of a male heir." Queen Caroline, who briefly held title when King George IV was crowned in 1820 is numbered among the former. Vulgar, selfish, and undisciplined, she fled from the husband she hated and became nearly as well known for her promiscuity as King George IV himself. Viewed by the public as a wronged woman, she survived George's attempts to dissolve the marriage, but opinion turned against her and she died in 1821." "First published in 1959 by world-renowned historical novelist Margaret Campbell Barnes, King's Fool is a remarkable insider tale of the intrigue, ruthlessness, and majesty of the Tudor court. When country lad Will Somers lands himself the plum position of jester to the mercurial King Henry VIII, he has no idea that he's just been handed a front-row seat to history. Based on the life of the real Will Somers, King's Fool is infused with Margaret Campbell Barnes' trademark rich detail and historical accuracy. This intimate peek into the royal chambers gives readers a unique view on one of the most tumultuous periods in English history." "Catherine de Medici was half French, half Italian. 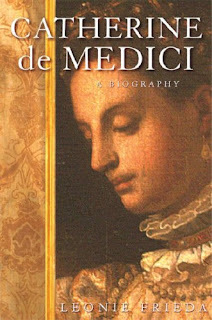 Orphaned in infancy, she was the sole legitimate heiress to the Medici family fortune. Married at fourteen to the future Henri II of France, she was constantly humiliated by his influential mistress Diane de Poitiers. 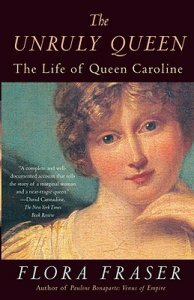 When her husband died as a result of a duelling accident in Paris - Leonie Frieda's magnificient, throat-grabbing opening chapter - Catherine was made queen regent during the short reign of her eldest son (married to Mary Queen of Scots and like many of her children he died young). When her second son became king she was the power behind the throne. She nursed dynastic ambitions, but was continually drawn into political and religious intrigues between catholics and protestants that plagued France for much of the later part of her life.. It had always been said that she was implicated in the notorious Saint Barthlomew's Day Massacre, together with the king and her third son who succeeded to the throne in 1574, but was murdered - he was left standing with his assassin's dagger in one hand, and his own entrails in the other. Her political influence waned, but she survived long enough to ensure the succession of her son-in-law who had married her daughter Margaret. Leonie Frieda has returned to original sources and re-read the thousands of letters left by Catherine. There has not been a biography in English of Catherine for many years and she believes that the time has come to show her - like Queen Elizabeth I of England - as one of the most influential women in sixteenth-century Europe." 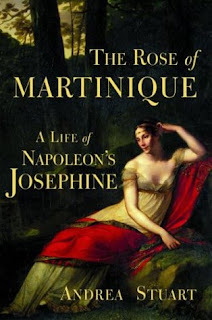 "Josephine Bonaparte was one of the most remarkable women of the modern era. In this acclaimed biography, Andrea Stuart brings her so utterly to life that we finally understand why Napoleon's last word before dying was the name he had given her, Josephine. Using diaries and letters, Stuart expertly re-creates Josephine's whirlwind of a life that began with an isolated Caribbean childhood and led to a marriage that would usher her onto the world stage and crown her empress of France. Josephine's life gives us a picture of the terrible vicissitudes of the times. She managed to be in the forefront of every important episode of her era's turbulent history. After the Terror in Paris, the brilliant corrupt director Paul Barras rescued her from near-starvation. She epitomized post revolutionary Paris with its wild decadence and love of all things exotic, and it was there as its star that she first caught the eye of a young Corsican general who was to become the colossus of the age, Napoleon Bonaparte. A true partner to Napoleon, she was a political adviser, hostess par excellence, his confidante, and passionate lover." "The Princes of Ireland, the first volume of Edward Rutherfurd’s magisterial epic of Irish history, ended with the disastrous Irish revolt of 1534 and the disappearance of the sacred Staff of Saint Patrick. The Rebels of Ireland opens with an Ireland transformed; plantation, the final step in the centuries-long English conquest of Ireland, is the order of the day, and the subjugation of the native Irish Catholic population has begun in earnest. Edward Rutherfurd brings history to life through the tales of families whose fates rise and fall in each generation: Brothers who must choose between fidelity to their ancient faith or the security of their families; a wife whose passion for a charismatic Irish chieftain threatens her comfortable marriage to a prosperous merchant; a young scholar whose secret rebel sympathies are put to the test; men who risk their lives and their children's fortunes in the tragic pursuit of freedom, and those determined to root them out forever. Rutherfurd spins the saga of Ireland's 400-year path to independence in all its drama, tragedy, and glory through the stories of people from all strata of society--Protestant and Catholic, rich and poor, conniving and heroic. His richly detailed narrative brings to life watershed moments and events, from the time of plantation settlements to the "Flight of the Earls," when the native aristocracy fled the island, to Cromwell's suppression of the population and the imposition of the harsh anti-Catholic penal laws. He describes the hardships of ordinary people and the romantic, doomed attempt to overthrow the Protestant oppressors, which ended in defeat at the Battle of the Boyne in 1690, and the departure of the "Wild Geese." In vivid tones Rutherfurd re-creates Grattan's Parliament, Wolfe Tone's attempted French invasion of 1798, the tragic rising of Robert Emmet, the Catholic campaign of Daniel O'Connell, the catastrophic famine, the mass migration to America, and the glorious Irish Renaissance of Yeats and Joyce. And through the eyes of his characters, he captures the rise of Charles Stewart Parnell and the great Irish nationalists and the birth of an Ireland free of all ties to England. 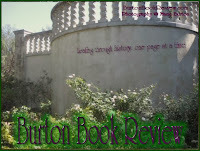 A tale of fierce battles, hot-blooded romances, and family and political intrigues, The Rebels of Ireland brings the story begun in The Princes of Ireland to a stunning conclusion." *I need to buy the first one. "At age twenty-four, King Arthur has the kingdom he fought so hard for and a new young family. But keeping the throne of Britain—and keeping his wife and three sons safe—proves far from easy. Two enemies in particular threaten everything that is dear to him: Winifred, Arthur's vindictive first wife, and Morgause, priestess of the Mother and malevolent Queen of the North. Both have royal ambitions of their own. In this story of harsh battles, secret treasonous plots, and the life-threatening politics of early Britain's dark ages, author Helen Hollick boldly reintroduces King Arthur as you've never seen him before." "Arthur is dead. His widow, Gwenhwyfar, left at Caer Cadan with their small daughter, faces overthrow by the powerful council headed by Arthur's uncle. But, unknown to her, events in France and Germany mean that a far mightier battle lies ahead. This is the third volume in the "Pendragon's Banner" trilogy." Lament for a Lost Lover by Philippa Carr (Jean Plaidy) "Against the turbulent background of Cromwellian England is set this sweeping tale of a beautiful young woman's journey from innocence to wisdom--from love to treachery. Lovely, naive Arabella Tolworthy had grown accustomed to her innocence --until the colorful, charismatic actress, Harriet Main, and the dashing Edwin Eversleigh burst into her life. Arabella did pot know it, but these two people would completely change her future. Harriet, for one, would return again and again to influence Arabella's happiness. As for Edwin, Arabella fell deliriously in love with him and married him. But soon after the wedding she found herself a widow. She returned to England with the new reign of Charles II, ready to devote the rest of her life to memories of the past. Only one person had the power to free Arabella from her chaste and wealthy prison. That was Carleton Eversleigh, Edwin's cousin. But was he doing this for Arabella's sake... or his own?" Knave of Hearts by Philippa Carr Daughters of England (book 10) Also known as Zipporah's Daughter: "Lottie, child of the passionate liaison between Zipporah and Gerard d' Aubigne, had loved her ambitious cousin Dickon since childhood. But when Dickon marries an heiress she is forced to begin a new life with her aristocratic father's family in France." The Judas Kiss by Victoria Holt (Jean Plaidy) "Pippa Ewell had left behind the dark and forbidding Greystone Manor - also the memories of Conrad, the handsome stranger who had swept her breathlessly into his arms and heart. But Pippa returned to find the truth behind her sister's mysterious death. 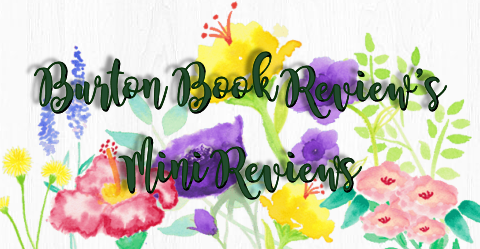 And suddenly the fairy-tale kindgom glittered with evil and danger..."
The Love Child by Philippa Carr "Priscilla Eversleigh hides Jocelyn Frinton, a young man who is traitor to the government and wanted alive. They fall in love, but tragically Jocelyn is captured and executed. Priscilla later finds out that she's going to have his baby. Harriet Main, a friend of the family, helps to keep Priscilla's pregnancy a secret by inviting Priscilla on a vacation to Venice; upon arriving, Harriet will discover that she's "pregnant" and decide to have the child there. In Venice, Priscilla is able to hide her pregnancy by wearing long, concealing clothes. She is pursued by Beaumont Granville, who tries to kidnap her. Fortunately, Harriet's son, Leigh, who was raised as Priscilla's brother, rescues her. Priscilla gives birth to a lovely baby girl, whom everyone thinks is Harriet's, and they return home to England. But at home there is cival unrest among the royal family. King Charles has died, and two men are struggling for the throne. Priscilla's father gets involved, and is arrested. Desperate to save her father from execution, Priscilla agrees to let Beaumont help free her father, but for a price: Priscilla must spend the night with him." "Set against the sweeping backdrop of medieval England, Good King Harry brilliantly brings to life one of the most fascinating, conflicted monarchs in history: Henry V. Evoking the sights and sounds of fifteenth-century London, acclaimed author Denise Giardina artfully illuminates the double-edged sword of power--and the momentous events that unfold in the making of a king. . . .
A contemplative soul imbued with a compassion and mental agility beyond his years, young Harry, Prince of Wales--the future King Henry V--is marked early as the object of his father's scorn. For in the eyes of Lord Bolingbroke, his son is but a weak link in the House of Lancaster with a dangerous loyalty to the rebellious Welsh that must be broken. As Harry reaches maturity, the battle within his heart grows fierce. Torn between the sensitivities of his soul and the uncompromising king he must become, Harry embarks on an odyssey rife with political agendas, sexual intrigue, and military combat--ultimately transforming into the accomplished monarch a volatile England so urgently demands." 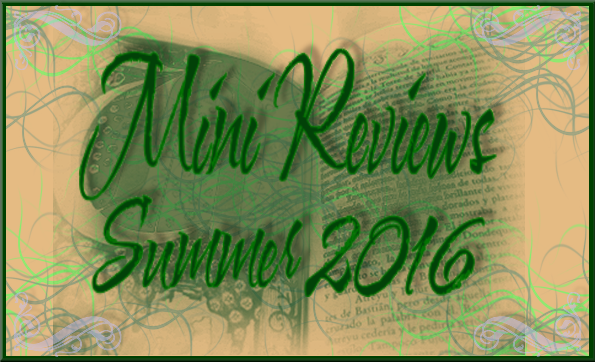 Drood by Dan Simmons .. I scoped out and entered for this book over at least 5 blogs, I wanted this win for my mama. Woo hoo! I also wanted Black Hills (I was born there!) but I was not that lucky. "On June 9, 1865, while traveling by train to London with his secret mistress, 53-year-old Charles Dickens--at the height of his powers and popularity, the most famous and successful novelist in the world and perhaps in the history of the world--hurtled into a disaster that changed his life forever. Just as he did in The Terror, Dan Simmons draws impeccably from history to create a gloriously engaging and terrifying narrative. Based on the historical details of Charles Dickens's life and narrated by Wilkie Collins (Dickens's friend, frequent collaborator, and Salieri-style secret rival), DROOD explores the still-unsolved mysteries of the famous author's last years and may provide the key to Dickens's final, unfinished work: The Mystery of Edwin Drood. Chilling, haunting, and utterly original, DROOD is Dan Simmons at his powerful best."